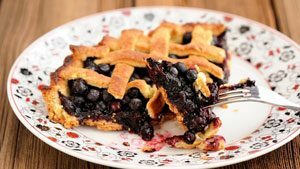 Combine blueberries, sugar, water and lemon juice in a large sauce pan. Heat until boiling. Simmer gently while preparing topping. In a saucepan over medium heat, Combine graham cracker crumbs, melted butter and sugar. Press into bottom and up sides of a 9 inch springform pan. Bake at 350 degrees for 5 minutes. Remove and let cool. Beat softened cream cheese and add 1 cup sugar, flour and salt until blended. Add eggs, one at a time and blend. Add sour cream, vanilla and lemon extracts. Gently stie in blueberries. Pour mixture into cooled crust. Betty Crocker’s Ultimate Cake Mix Cookbook shares a recipe! Need a spectacular dessert for a crowd? Please everyone with luscious layers of strawberries, cake and pudding. They’re sure to return for seconds! Heat oven to 350°F (325°F for dark or nonstick pan). Make and bake cake as directed on box for 13×9-inch pan. Run knife around sides of pan to loosen cake. Cool completely in pan, about 1 hour. While cake is cooling, in large bowl, beat pudding mixes into milk with whisk about 2 minutes or until blended. Cut or tear cake into 1-inch pieces. In 3 1/2-quart glass trifle bowl, arrange half the pieces, cutting pieces to fit shape of bowl. 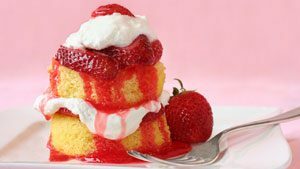 Pour half of the thawed strawberries (with syrup) over cake; spread with 2 cups of the pudding. Place remaining cake pieces on pudding and around edge of bowl. Top with remaining strawberries and pudding. Cover; refrigerate at least 2 hours until chilled. Spread whipped topping over top of cake. Sprinkle with almonds. Store covered in refrigerator up to 12 hours. Mix and bake favorite biscuit recipe according to the directions. Sprit each biscuit in half horizontally. Spoon some of the strawberries with their juice onto each shortcake bottom. 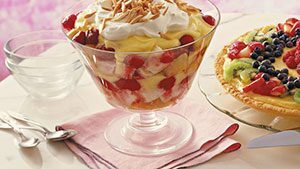 Top with a generous dollop of whipped cream and then the shortcake top. Spoon more stawberries over the top and server. 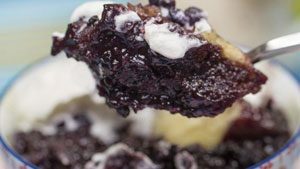 – If you wish, you can substitute Cool whip for the whipping cream, sugar, vanilla and lemon zest. 1. Combine the cake mix, according to ingredients & instructions on the box. 3. Bake at 350 for 20-25min until toothpick comes out clean or according to directions on the box. 4. Cut stems off of strawberries and halve them if need to in order to create uniform sizes. 5. Cut shortcake into 2-inch cubes. 6. 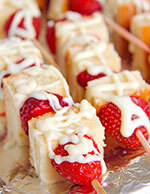 Take skewer and alternate strawberries and shortcake cubes. 7. In a glass bowl melt chocolate in the microwave for about two minutes stirring every every 30 seconds. 8. Once fully melted, insert it into a large plastic bag and cut off the corner tip. 9. Drizzle all over kabobs and place in fridge to set. Set aside 1/4 cup blueberries for garnish. In a bowl, combine pie filling and yogurt. In a 3-1/2-qt. 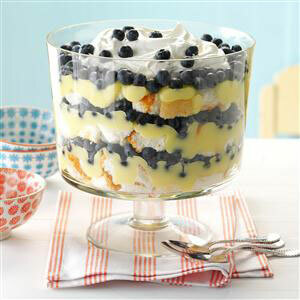 serving or trifle bowl, layer a third of the cake cubes, lemon mixture and blueberries. Repeat layers twice. Top with whipped topping. Cover and refrigerate for at least 2 hours. Garnish with reserved blueberries, and lemon and mint if desired. Yield: 12-14 servings. Preheat oven to 425 degrees F (220 degrees C). Place one crust in a nine inch pie pan. Mix together sugar, flour, and cinnamon. Mix lightly through the berries. Pour filling into pastry lined pan, and dot fruit with butter or margarine. Cover with top crust, and cut slits in the top. Seal and flute the edges. Bake for 35 to 45 minutes, or until the crust is slightly browned. Preheat oven to 375. Grease (or line with foil) a 9 x 13 pan. In a medium bowl, whisk together sugar, baking powder, salt, and flour. Cut in the butter using two knives or a pastry blender, until pieces are no bigger than pea sized. Stir in the egg to form a crumbly dough. Pat half of the dough in an even layer in the prepared pan. In a medium bowl, whisk together the lemon zest and juice, 1/2 cup sugar, and cornstarch. 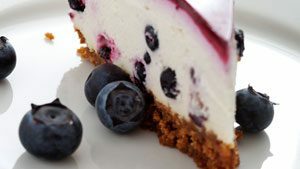 Toss the blueberries in the mixture, and spread the blueberries on top of the dough in the pan. 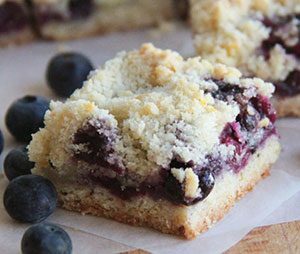 Crumble the remaining dough evenly over the blueberries. Bake 45-50 minutes, or until lightly browned. Let cool before slicing and serving. Preheat oven to 375. Grease (or line with foil) a 9 x 13 pan. In a medium bowl, whisk together sugar, baking powder, salt, and flour. Cut in the butter using two knives or a pastry blender, until pieces are no bigger than pea sized. Stir in the egg to form a crumbly dough. Pat half of the dough in an even layer in the prepared pan. 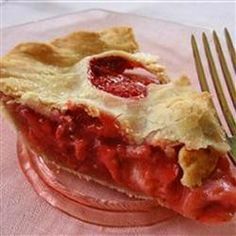 In a medium bowl, toss the strawberries with the 1/2 cup sugar and corn starch, then spread the strawberry mixture on top of the dough in the pan. 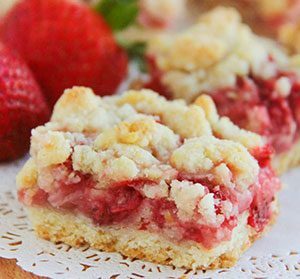 Crumble the remaining dough evenly over the strawberry layer. Bake 45-50 minutes, or until lightly browned. Let cool before slicing and serving.